On November 12th, WITI Orange Country Network hosted a Holiday Mix & Mingle with an all-important and timely topic: De-Stress for Success®. 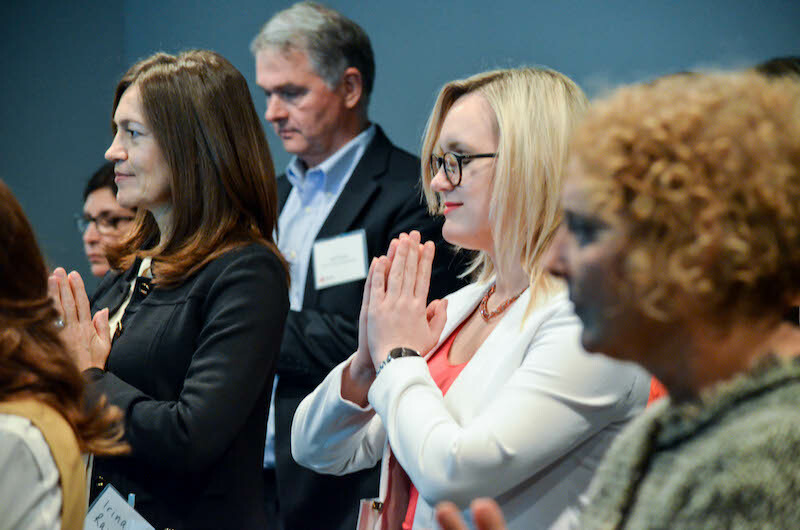 The event was a great way to close out a fruitful year for Orange County Network and help our members and attendees to pick up some tips on de-stress from two highly qualified experts. The Network's Finance Chair Louise Brandy opened the meeting and introduced WITI's mission and purposes, and shared the valuable features WITI's website has to offer, such as webinars on various professional skills, virtual job fair, and industry support groups. Meredith Jacobson announced the establishment of LA's WITI Network and planning events people can get involved in. Louise gave the audience a sneak peek of exciting events we are planning for 2016. 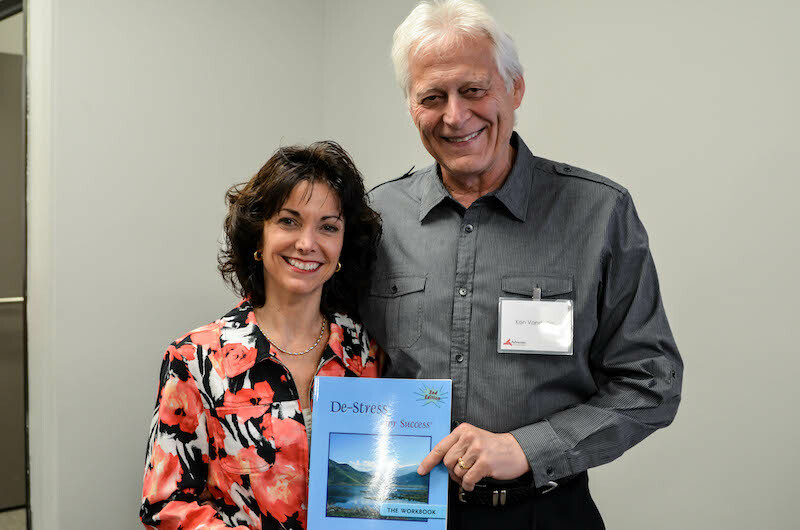 The evening's speakers are Dr. Ken and Susie Vanderlip (de-stressforsuccess.com) . The Vanderlips have been involved in psychology, meditation, EMDR therapy (Eye Movement Desensitization and Reprocessing) for more than 20 years. Both have tremendous experience with using de-stress techniques to deal with the major events in their lives and to help people gain better knowledge and skills to manage their stress better. Ken and Susie talked about three main points for the night: what's stress and how it affects us; tools to address stress, and how to achieve relaxation and mindfulness. They pointed out that stress management is about practicing stress management skills every day. So when difficulties arise, these skills would kick in and help bring balance back. There are many physical, emotional, and behavioral symptoms and reactions to stress. The common ones are tense body, painful lower back, depression, loss of sleep, anger, and others. Male and female respond to stress differently. Men tend to have a Fight or Flight reaction, while women tend to want to talk it out. We perceive situations that either exasperate or minimize our stress. There are many ways to deal with stress. Physically, breathing is a powerful and quick way to relax and calm your body. Ken created a one-minute breathing exercise at his psychology practice and has seen tremendous success and benefits. Susie led a series of simple yet relaxing yoga poses with the audience. We followed her gentle instruction and felt our bodies stretched and relaxed. These poses, according to Susie, are great for people who work in corporate, hunching over their computers all day long. Ken talked about using HALT (Hungry, Angry, Lonely, Tired) to identify and prevent stress buildup. Always deal with Hunger and being Tired first, then deal with emotional balance (Angry and Lonely) next. Ken and our Program Chair Terry Dear did a wonderful demonstration of deflecting a physical punch/attack. Receiving a physical punch requires much more effort than re-directing the punch. The best way is to direct it to a different direction. It's the same method we can use to do emotional self-defense. Think about an imaginary arm to deflect everything involving negativities from you and therefore protect your important middle parts of the body: brain, heart, core, etc. - Reframe thoughts - Just because they say it doesn't make it so. - Be less critical of ourselves. What other people think of me is none of my business. What I think of me is my business. - Journal writing is a great way to release anxiety and stress on paper and it doesn't cause any damage. - Give your best 90% and keep 10% for yourself. Athletes don't do 100% all the time. They understand there is high and low. Knowing when to ease off is essential. At the end of the event, Ken led a guided meditation. After just a few minutes of meditation, everybody woke up feeling energized and happy. It was a great way to end the informative talk! We all woke up feeling present, connected, and calm. As the session went into the night, attendees happily chatted away with their new friends or people they got to know here in the group, with renewed energy and the new information they learned tonight. Sandy Gumpleson was the lucky winner of the free membership at the event's raffle. We are excited to have her join WITI family! A special shout-out to Advantex Professional Services (www.advantexexps.com) for sponsoring and hosting our event. Advantex Professional Services provides staffing services in the disciplines of IT, Engineering, Finance and Accounting. 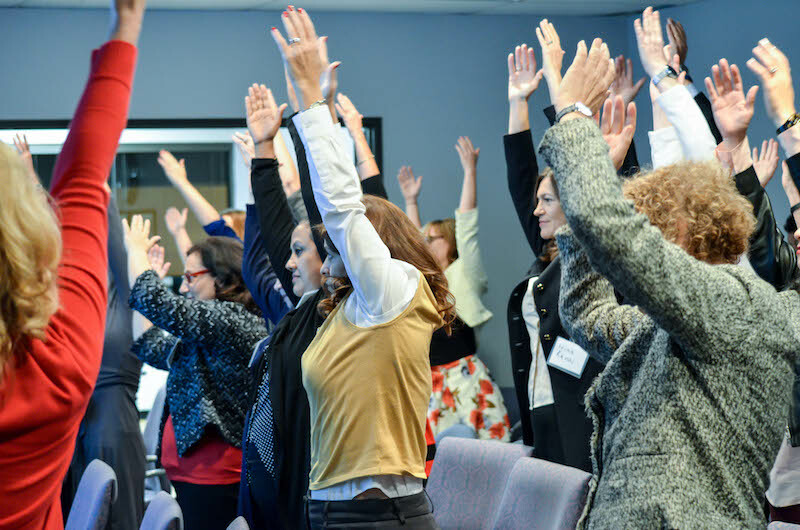 Connection, information, and support are our mission with WITI's Orange Country Network to 'Build... Inspire... Empower'. As we are celebrating the end of 2015 and getting ready for 2016, Ken and Susie's technique will sure help all of us manage our stress better, so we can enjoy life, handle challenges life and work throw our way confidently.